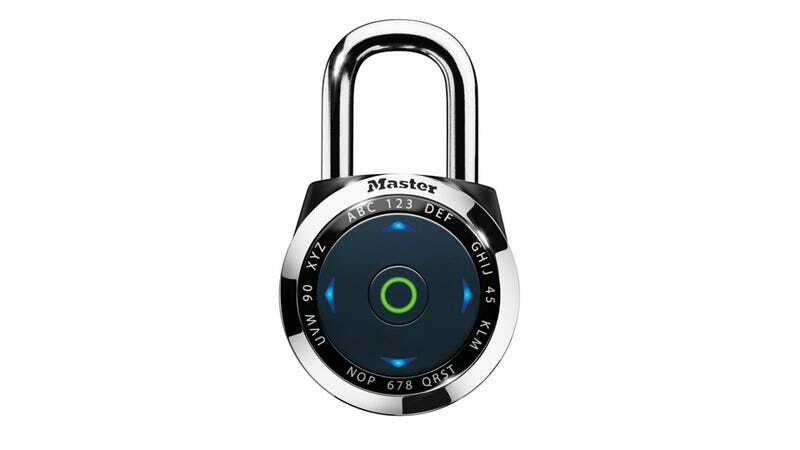 This Master Lock dialSpeed ditches the old combination wheels of yore and flimsy directional joysticks of two years ago for something more techy: an electronic directional interface that's more like a d-pad than a lock. You can customize the code, create multiple unlock codes and if you've forgotten 'em all, use a master code. The dialSpeed has a permanent backup master code you can dig up at Masterlockvault.com but if you want to get creative, you can program your own directional code with an option for three guest codes (cue: Contra code). And though the dialSpeed looks and sounds a lot like the Master Lock Speed Dial, the Speed Dial used an analog joystick to register directions, the dialSpeed unlocks itself by tapping the directional arrows.